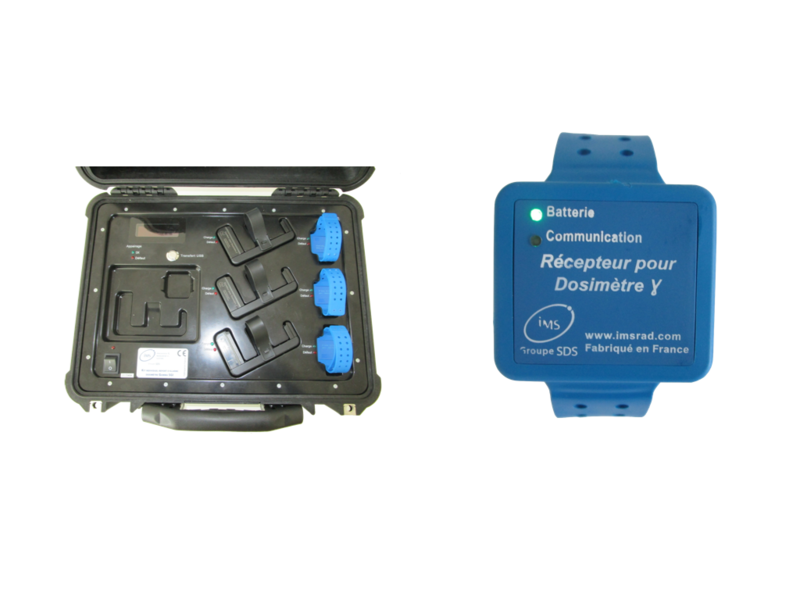 Following non perception of the dosimeter alarms used by the operators of the French electrician EDF in France, IMS has developed an alarm transfer system complementary to the dosimeter so that its alarm can be perceived in all work situations of the dosimeter wearer. The dosimeter is worn in the chest pocket of the protective clothing by persons working in controlled areas in power plants. Its alarms are amplified by means of sound, light and mechanical signals (vibrating bracelet) via a wireless technology developed by IMS that does not alter the performance of the instrument.